The United States of America is the perfect destination for an internship abroad. 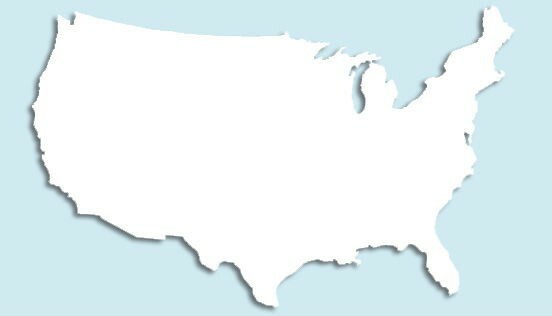 The USA is a country with infinite possibilities. An internship in the USA with all its big cities, international companies and beautiful countryside will definitely contribute to an unforgettable experience! Internship Provider offers challenging internships in the USA for almost every study program in locations all over the country. By doing your internship in the USA you will gain international work experience and most of all develop yourself personally. The USA, where companies like Google, Apple and Microsoft have their roots will give you the chance to get the best out of yourself and to learn with the best. So choose the USA and start your adventure now! Internship Provider offers a package which helps you to be fully prepared for your internship in the USA. We organize a suitable internship for you, taking into account your school requirements and your personal wishes. Please note! The price does not include the costs for arranging and assisting in the process of getting a J1-visa. Why go to the USA with Internship Provider? An important reason to arrange your internship in the USA with Internship Provider is because we have a network of companies in the USA. Therefore it is easier for us to find a good internship for you! In addition Internship Provider is specialized in internship visa's. Applying for a J-1 visa is a very tricky procedure but Internship Provider makes it a lot easier by walking you through the process step by step. With the Internship Package for an internship in the USA we will assist you in arranging everything that is necessary for you before going abroad. For example we will assist you in writing a perfect CV in order to get an internship but also in finding accommodation. In addition Internship Provider can book your flight ticket. Ask for an individual ticket quote and we will let you know as soon as possible which airline ticket is cheapest and which one fits your travel schedule best. Internship Provider offers paid and unpaid internship in the USA. The unpaid internships are more common but there are also good opportunities to obtain a paid internship! Arranging a paid internship requires more work from the mediating party, students who want a paid internship need to have working experience and good skills. A beautiful portfolio, good transcripts and reference letters will contribute to obtaining a paid internship. Internship Provider has two different internship packages. One as defined on the website for €800 with the possibility of obtaining an unpaid internship. In addition we have a package which offers the possibility of a paid internship. This package costs €1200. Please note that both package prices do not include the costs for the visa and for arranging the visa. More than enough reasons for you to arrange your internship and visa for the USA via Internship Provider! Do you have any questions of would you like to receive more information? Please contact us and we'll be happy to help. On the destination page you will be able to find all the information about what the USA has to offer!